Introducing Finnabair's new glimmery Art Pebbles, summer fresh Opal Magic paints, and new Texture Fantasy paste sets! Scroll on down to see all of the new products and projects by our fabulous team! Hello, texture lovers! Ready to live out a texture fantasy with some of Finn's new pastes? Part of the Rust Effect paste line they are vibrant, filled with lots of texture, and available in fun new colors. Our new Opal Magic Acrylic Paints come in eight NEW luscious colors! Sweet, yet vibrant, pastels cover all the shades of the rainbow with a fun, fruity twist. 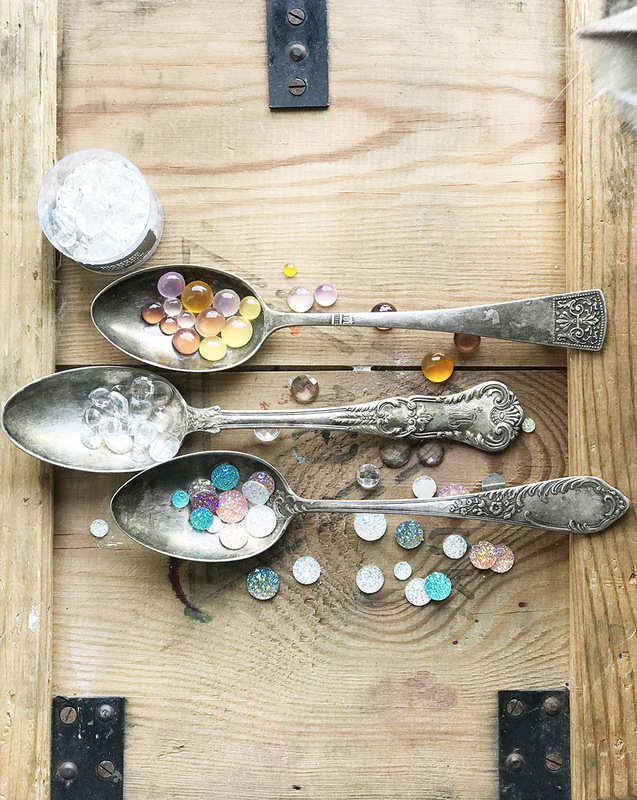 These will be perfect for adding a touch of acrylic magic to your projects. How gorgeous are these new Opal Magic paints in Teal-Pink and Teal-Blue on Stacey's butterfly canvas? Can you envision the new summer Opal Magic line with wings! This gorgeous butterfly by Stacey Young is a true vision of the beauty and simplicity of the shimmery paints. They work beautifully for watercoloring, hand-lettering, and so many other artistic endeavors. 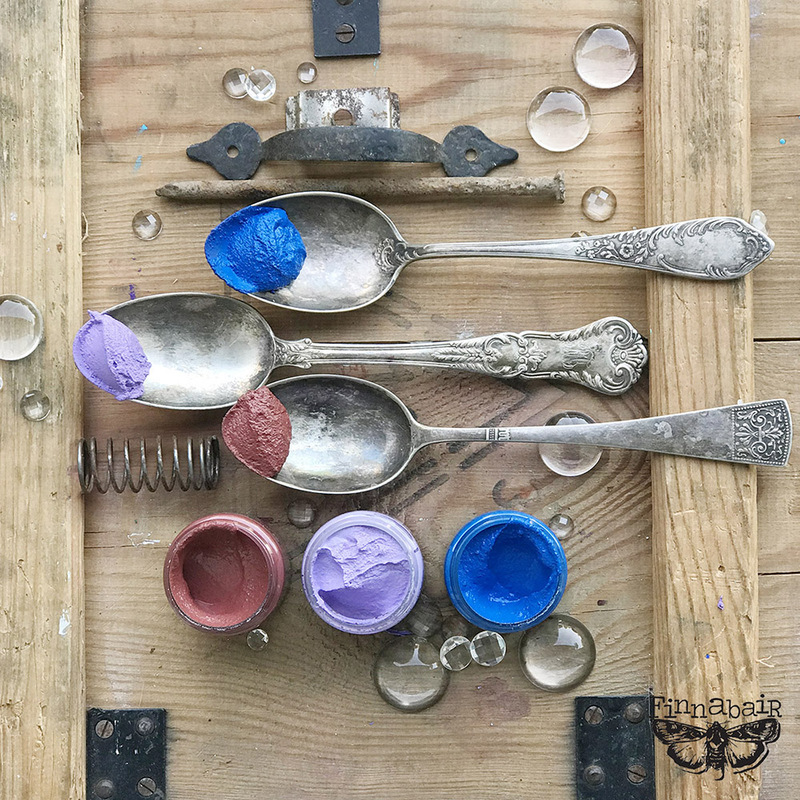 Finn's team also got in the action with Sanda Reynolds creating this fabulous mixed-media piece with Opal Magic paints...showing just how magical these paints are when applied to a darker surface! Yes, they change colors depending on the substrate color! 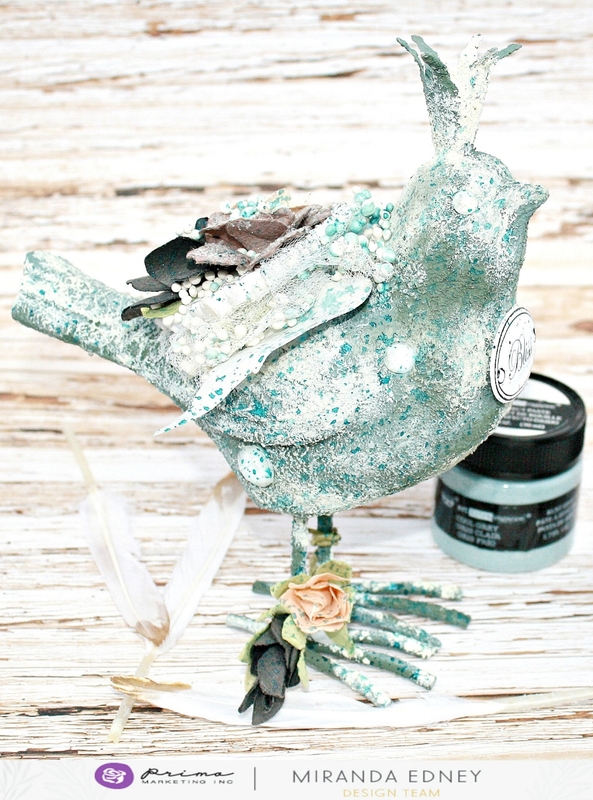 Old Walls Fantasy Texture Paste, mixed with Melange Art Pebbles, adds life to this sweet bird by Miranda Edney! Fantasy Texture Paste in the Junkyard Treasures set truly sets this altered box by Ola off in true style. See the beautiful Melange Art Pebbles peeking out? How gorgeous is this altered canvas by Nadya featuring Old Walls Fantasy Texture Paste with Melange Art Pebbles? Karine added three sets of Fantasy Texture Paste to her gorgeous piece: Junkyard Textures, Anemone + Coral, and Northern Lights, for a one-of-a-kind effect! This inspirational canvas by Ola is brilliantly colored with new Texture Fantasy in Anemone and Coral. Bold and fresh in color, it contains the same amazing texture from all of the Rust Pastes. w h i c h o n e s ? Which new Finnabair products are you most excited to try? We'd love for you to share with us here or on our social media!